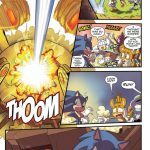 Now this is what I want from a Sonic comic! Great cover art (well at least the first two, can’t see the others well enough to decide) and awesome inner art too! The comic had been boring for a looooong time, and I don’t think it was due to the story; the story had always been at least a little compelling just the art was so plain and boring it made the rest suffer greatly at least for me anyway. 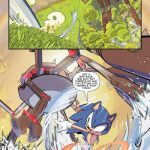 No movement, angles, or any just sharp great looking art really made the last few years of archie Sonic quite dull, and while I’m not excited at all to see they’ve kept some of the artists on, at least if they use whoever pencilled this one onboard and use them, then the comic will be outstanding at least some of the time. Also, this reminds me, was it too much to ask to fight one of these crab robos not to mention those eggman robos that you see in the forces? Game was all show and zero substance. 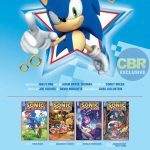 Yeah, never read the comics in the first place really but the art in some of the TSS previews never really drew me in, which is surprising since I really like the aesthetics of the series as a whole. However, these comics have done pretty well with their first two issues from what I can see and I hope the quality continues. In regards to the Giant Crab Mech in forces, I’ve got nothing. Guardian Rock made the level into a boss fight essentially but not one that was all that memorable. The Crab was taken down by a quick time event in the end so while it was visually interesting it didn’t feel brilliant, though I will say the music and animation in that section does drive home the danger and give a nice burst of adrenaline. 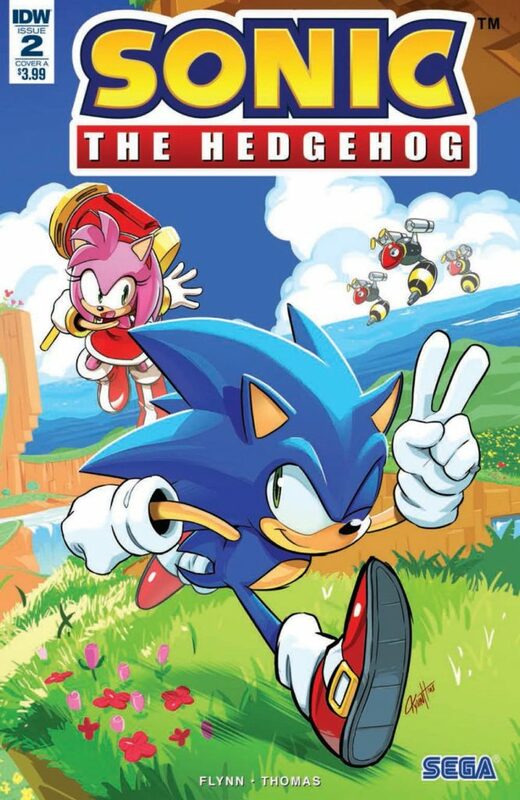 Truth be told, though I don’t despise forces or anything this series has offered thus far, I think it would have benefitted from a few more years in development… Productive development that is. The Hedgehog Engine 2 works fantastically as a graphics engine and is undoubtedly well refined to tackle the demands of modern game graphics and quick geometry rendering that high speed gameplay demands, but it is little without a strong idea and direction behind what goes into it. That said, Forces has put it through its paces and demonstrated what it can do, now the hope is that Sonic Team will provide a strong gameplay foundation for what comes next, gradually pushing the envelope with graphics. My only concern is that Sonic Team is already a small work force so pouring resources equally into both of the aforementioned properties would probably be a mammoth undertaking. I hope this new series succeeds big time. Both critically and commercially. I saw your previews and I decided to bite. 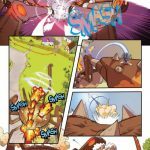 Picked up #1 and #2 digitally for my commute today and I really enjoyed them. I occasionally dabbled in Archie but, to me, it felt like a weird mess of SegaSonic and SatAM (which IMO should be a separate universe). This is fresh, concise and a lot of fun. Great artwork. Looks like I’m gonna stick with it. I liked the first issue, but LOVED the second one. It continues the fantastic art and fun, creative action. And it does something very rare for any Sonic media: it actually made me love Amy! Her characterization and fighting style are perfect for her. 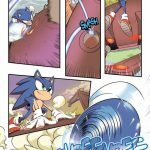 I’m really looking forward to seeing how they handle my favorite character, Knuckles, in the next issue. PS: Are we gonna just keep pretending that we don’t know who the secret villain is? I mean, it’s obviously Metal Sonic, right? 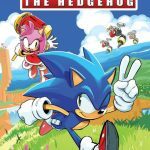 Just read this issue, it was even better, I like the back and forth of Sonic and Amy way more tha Sonic and Tails, also the art is superb, this really feels like a higher quality comic. 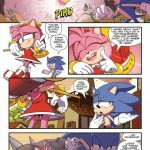 I never thought I’d say this, but this comic, does Amy Rose right. She’s competent (take that, Adventure series haters), not overly pushy (like the Archie reboot, Boom, or Fleetway series), or violent to get her way (Sonic X and the Riders series). This would have been a perfect issue had it not been for one line from her at the end.